It’s no secret that The Winterset Citizen has a “just in time” philosophy when it comes to sharing events. Sure, I post information about things that are coming in a week or two, but I always lead with what’s happening today, tomorrow and the next day. That’s on purpose! Sometimes people are hesitant to commit to optional activities in advance because, shoot — who has the time?! But then a gorgeous day comes along and they realize, for example, “Hey! 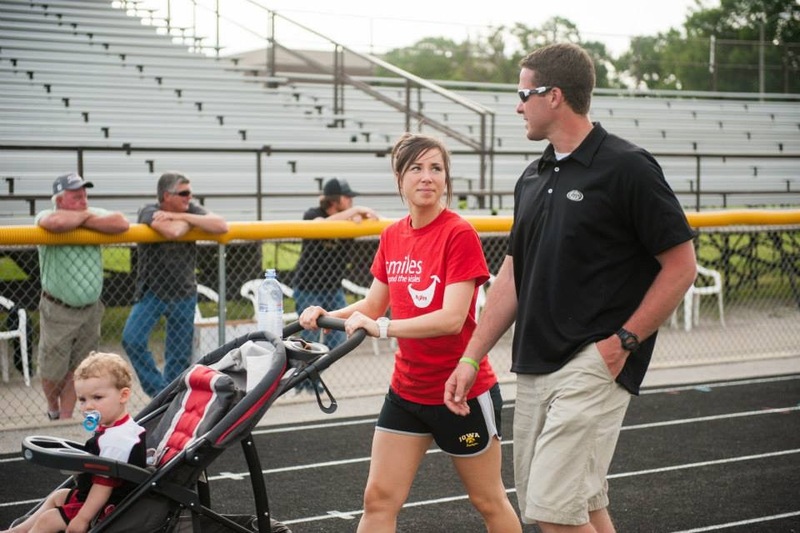 This would be a great night to walk around the track with the family for a great cause.” And BOOM — The Winterset Citizen has you covered. It just so happens that the Relay for Life is happening this evening, June 3rd, from 6:00 to 11:00 pm at the Winterset High School track. It’s a great activity for family and friends, and does a great deal to help fight cancer in our community and beyond. If you didn’t sign up in advance, no problem! Maria Forgy assured me you can show up and register right there on the spot. Follow Madison County Iowa Relay for Life on Facebook for more information and great photos of past years’ events. Sam and Missy Anker made it a family event last year. Spectators welcome too! 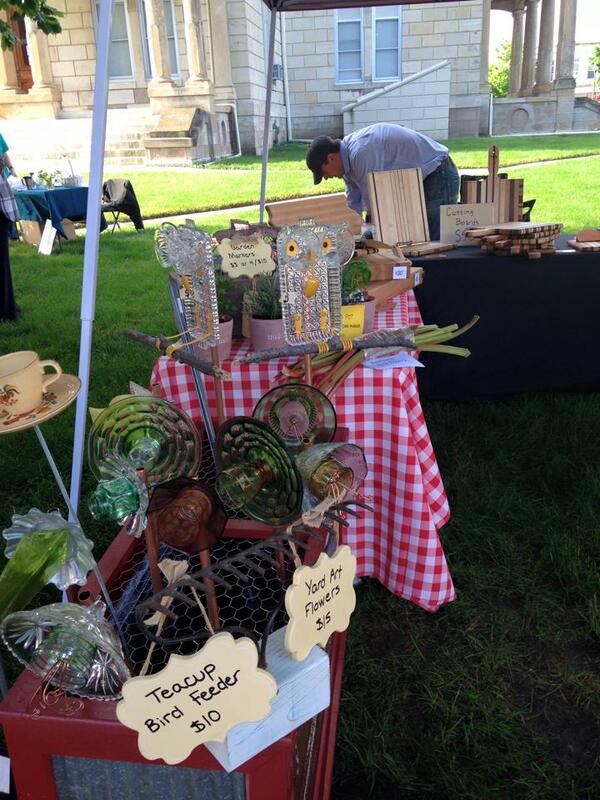 The Madison County Farmers Market will be held on Saturday morning from 8:00 am to noon on the perimeter of the courthouse lawn. Lots of great treasures to be found there! The annual Mayor’s Bike Ride is also scheduled for Saturday morning — meet Mayor Olson at the entrance to the Aquatic Center at 8:00 am and be sure to wear your bike helmet. You just might get a treat! 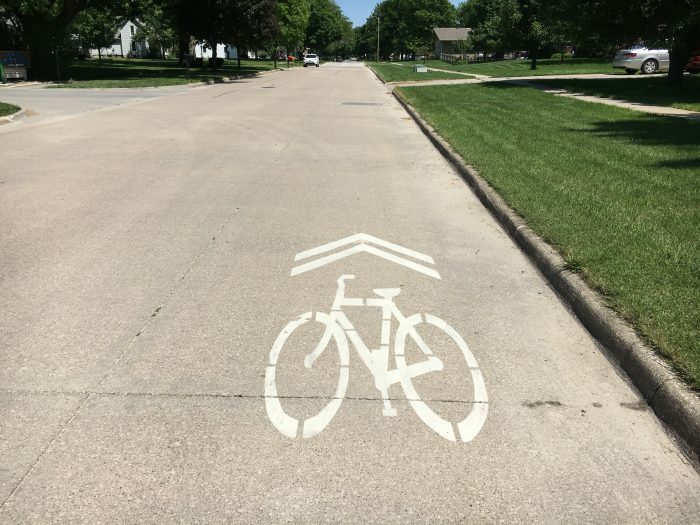 You’ll also hear more about the new “sharrow” markings on the street and what they mean for bikers, walkers, and motorists. The ride will go to the City Park and back. The Mayor’s Annual Bike Ride is Saturday, June 4th at 8:00 am. 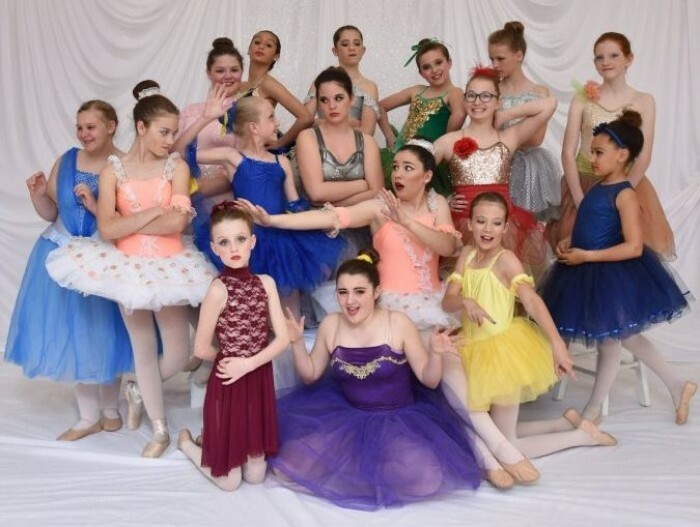 Something else the kids will enjoy is the presentation of “Finding Nemo” and “Life is Good” by the talented dancers at Winterset Ballet & Dance Studio, Saturday evening at 6:00 pm and Sunday at 3:00 pm, at the Winterset High School Auditorium. Doesn’t this look like a fun bunch? A group of volunteers organized by the Madison County Conservation Board will be conducting an annual Middle River Cleanup this Saturday, June 4th. They have a great time on the river picking up trash, digging out old tires, removing junk and opening up log jams to improve the Middle River Water Trail. If you wanted to help with that, you might be out of luck — the registration deadline was June 2nd. Never hurts to call Jim Liechty and ask, though, especially if you have your own canoe! He’s at 462-3536. Even if you can’t help with the cleanup, you can join the group to enjoy a free concert by local musician Will Schmitt around 6:30 pm at Pammel Park Lodge. No registration required! Schmitt has been teaming up with county conservation boards across the state to host free concerts at Iowa parks this summer. The series is named “Spirit of Chautauqua,” in tribute to the Chautauqua festivals that roamed the rural American landscape in the late 18th and early 19th centuries. After graduation from Winterset High School and then college, Schmitt spent time in an office position before following his call to live and work outdoors. Since then he has helped countless youth find their own place in the world, lived on and off the grid, and hiked at least 4,000 miles through the eastern and western parts of the United States. For ten years he led the Midwestern rock band Funks G, and performed hundreds of concerts around the country with his friends. 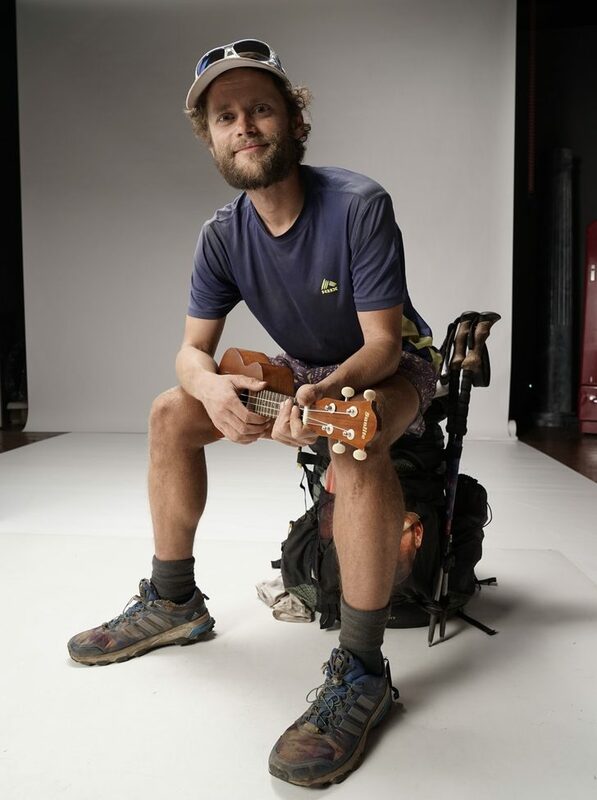 Now he is focusing his musical energy on sharing the songs and stories he’s picked up in his travels through life. It’s going to be a beautiful night! Bring a lawn chair and enjoy Saturday evening in Pammel Park. Enjoy local musician and outdoorsman Will Schmitt on Saturday evening at 6:30 pm at Pammel Park Lodge. Finally, don’t forget that Saturday is the Grand Opening of the Iowa Quilt Museum. They’ll be open from 10:00 to 5:00 on Saturday and noon to 4:00 on Sunday. More information about the museum can be found here. 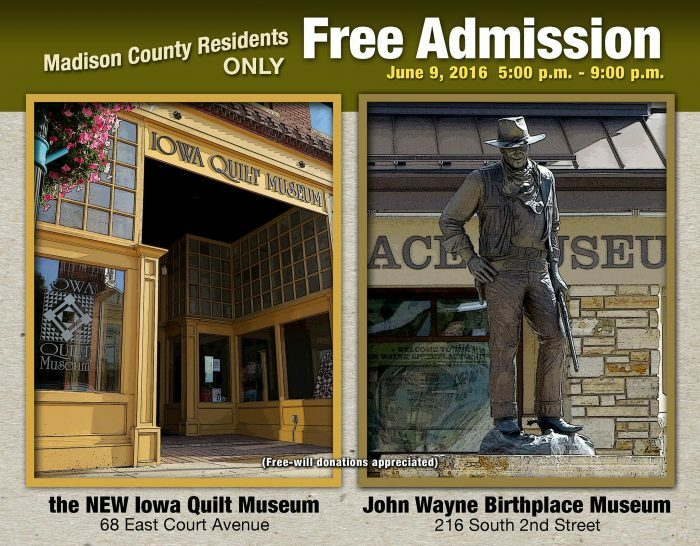 If you’re a Madison County resident, mark your calendar for June 9: Free Admission to both the John Wayne Birthplace and Iowa Quilt Museums from 5:00 to 9:00 pm! 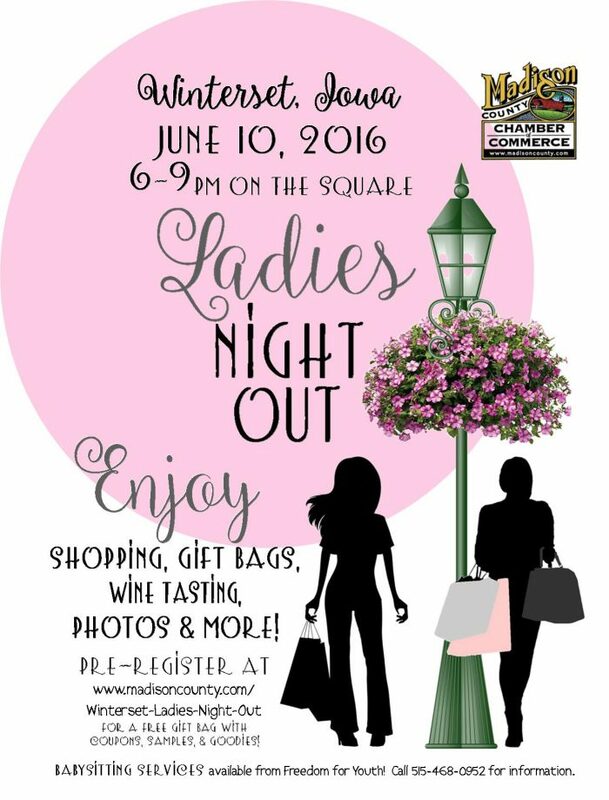 Next Friday is Ladies Night Out in Winterset! Be sure to register in advance for this free event, because the first 200 ladies who register will receive a free gift bag containing samples and goodies. Stop by the Madison County Chamber of Commerce office beginning at 5:30 p.m. on Friday, June 10th to claim yours. All unclaimed bags will be released beginning at 7:00. Under the guidance of the Madison County Historic Preservation Commission, a group of local citizens has been researching Madison County’s Underground Railroad history and meeting others across the state that are doing the same in their locations. 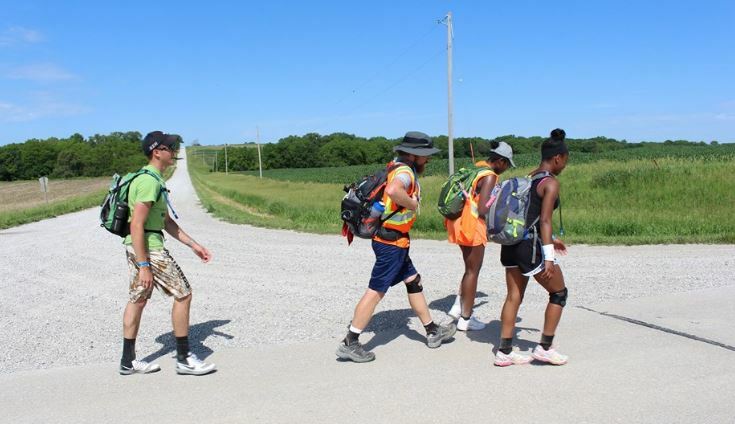 One of the group’s new acquaintances is Barry Jurgensen, a history teacher from Nebraska who has created the Walk Forever Free project to connect historic slavery to modern day slavery, now known as human trafficking. Starting June 1st, Mr. Jurgensen will begin walking 500 miles to raise money and awareness for this cause. His route, which will closely retrace the journey of Eliza and Celia, two known teenage slaves who escaped from Nebraska City in 1858 and traveled to freedom in Chicago, will bring him to Winterset for a presentation on Thursday, June 9th. Retracing a known path of the Underground Railroad from Nebraska City to Chicago, Barry Jurgensen will walk from Greenfield to Winterset on Wednesday, June 8 and from Winterset to Badger Creek on Thursday, June 9. The goal is to raise $50 per mile of the journey, for a total of $25,000. Proceeds will be donated to the Frederick Douglass Family Initiatives a 501(c)3 charity, dedicated to fighting human trafficking through educational initiatives in schools and communities. The FDFI provides prevention education for young people, assists teachers to identify victims, perpetrators and the signs of human trafficking, and helps initiate and strengthen community relationships critical to successfully addressing this mounting problem. Walk Across Winterset with Barry, Thursday, June 9, 8:30 am, starting at New Bridge Church. The walk will stop at the Courthouse for a short Winterset Underground Railroad story and then continue to the soccer fields on East Court. Barry is walking on to Badger Creek in northeastern Madison County and welcomes others to come along. Transportation will be provided back to New Bridge Church. We suggest wearing a blue shirt, as that is the color designated for human trafficking awareness. All are invited to walk this 1.3 mile route. Presentation by Barry, Thursday, June 9, 6:30 pm, Madison County Historical Museum. This is an opportunity to meet Barry and hear him discuss his walk and his passion. You can get a taste of that in this video. If you are unable to participate in activities but would like to support the Walk Forever Free/FDFI mission, look for contribution jars around town. Over 40 merchants will be displaying a Walk Forever Free jar, and any amount is appreciated. Checks can be made payable to Frederick Douglass Family Initiatives. Credit card donations can be made at FDFI.org/Walk. Walk Forever Free Tyvek Bracelets will be available at each of the events for $2.00 each. The name of a human trafficking survivor is written on each bracelet, and their stories will be available online. The local sponsors of this event encourage you to wear the bracelets throughout June to support the project and to raise awareness of the dangers of human trafficking. More information can be found here. 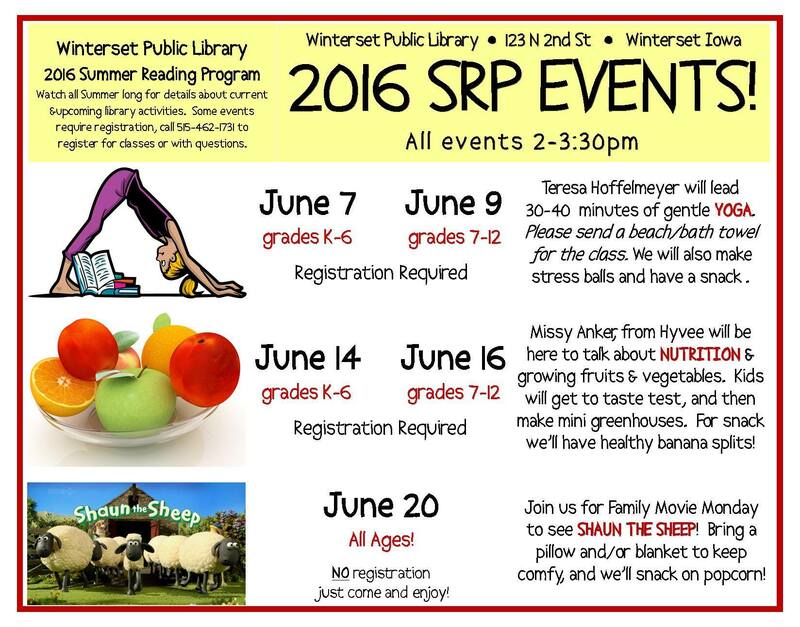 Finally, take a look at this sampling of Summer Reading Program events at the Winterset Library. THIS IS NOT ALL! They also have events scheduled teens, and a great summer reading program for adults. 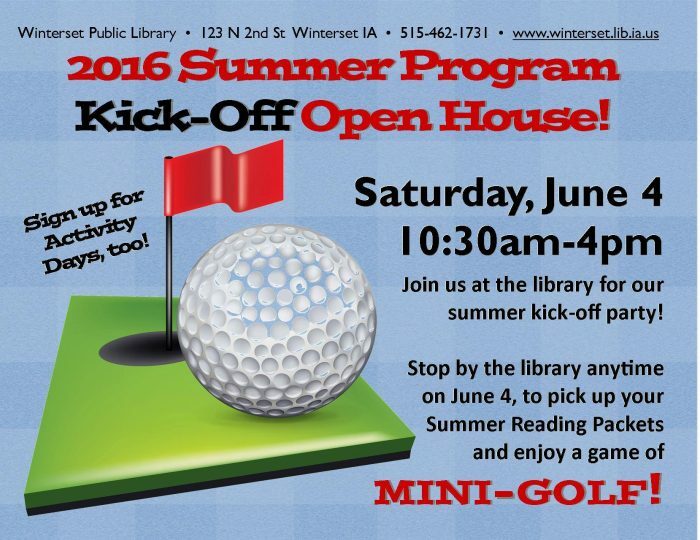 Follow Winterset Public Library on Facebook to see all their upcoming events for all ages, and kudos to them for providing so much for so many in our community!